Published June 27, 2015 at 382 × 500 in Welcome! Please browse my work by clicking on the galleries below.. The Ann Arbor Observer January, 2010. 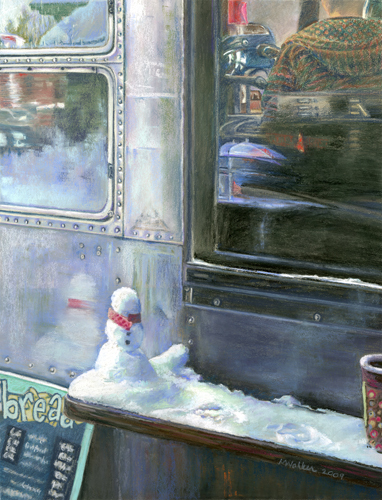 17″ x 13″ pastel painting of a snowman on the take-out counter of Zingerman’s Roadhouse Restaurant in Ann Arbor, MI.